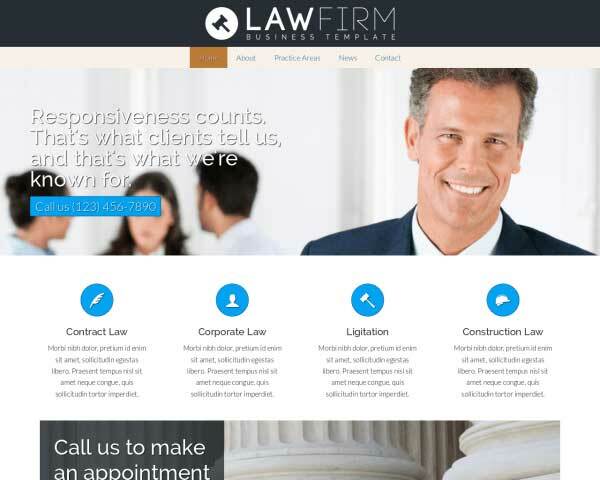 The Law Firm WordPress theme is designed with all the important pages and features that make a great website for your law practice. All that's missing is your own text and images to start attracting new clients online today! 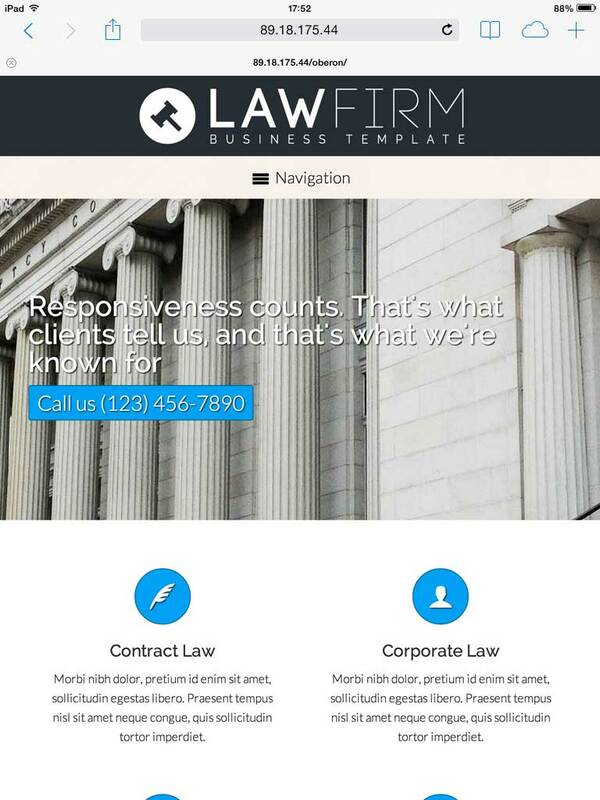 Whether you're building a new law practice from the ground up or upgrading your old, outdated website, use the Law Firm WordPress theme to quickly create an informative website with a friendly, approachable look. 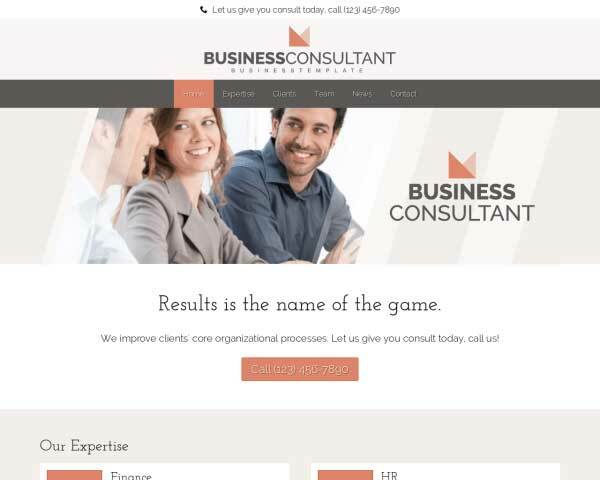 This pre-built website template is set up with pages for details about your areas of expertise, bio and contact pages, and even a news blog with sample posts ready for your own text and photos. No coding is required to change the colors on your website or adjust page layouts using our powerful front-end editing tool. 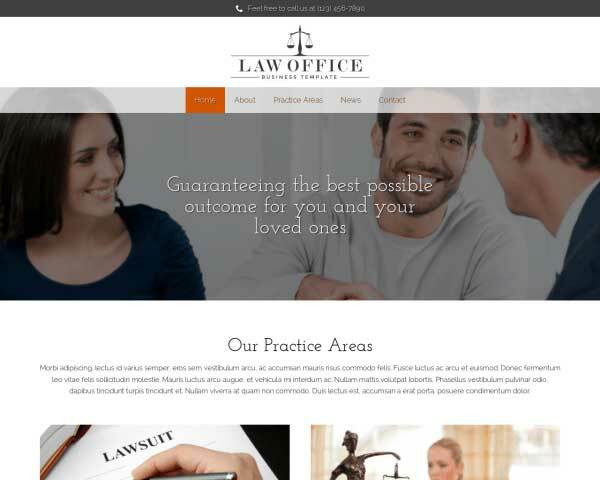 This WP theme for attorneys saves time and money through easy maintenance and built-in premium features like customizable contact forms, responsive design and a helpful SEO manager to boost search engine rankings. 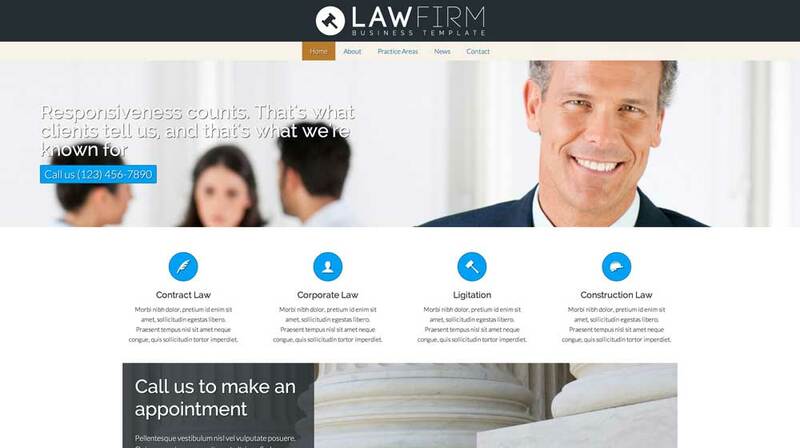 Try the Law Firm WordPress theme risk free for three days and see how simple it is to build a professional online presence for your law practice. Although WordPress has moved away from being a straight blogging platform, the Lawyer WordPress Theme couldn't do without these powerful features. 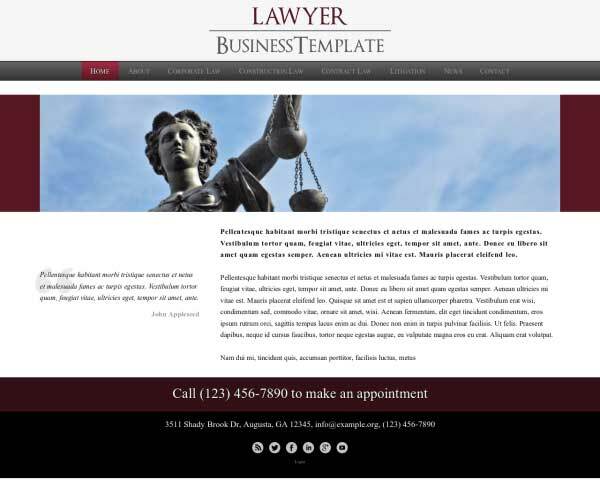 If you're in charge of creating the website for your business but have little time or web design skills, our Lawyer WordPress Theme will help you get a comprehensive website online fast! 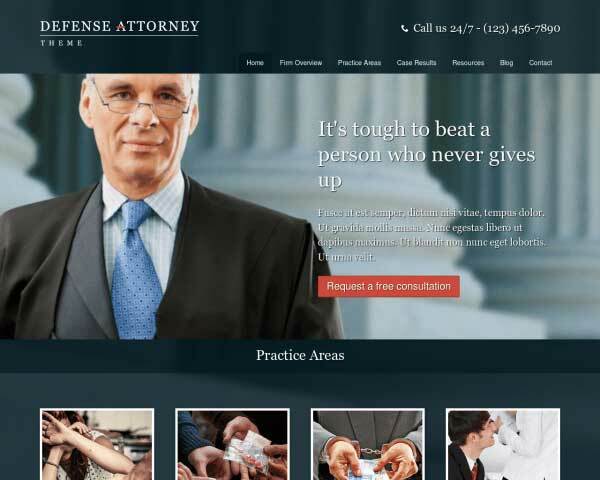 Visitors won't have to search for a way to get in touch thanks to calls to action prominently displayed on every page of the Lawyer WordPress Theme. 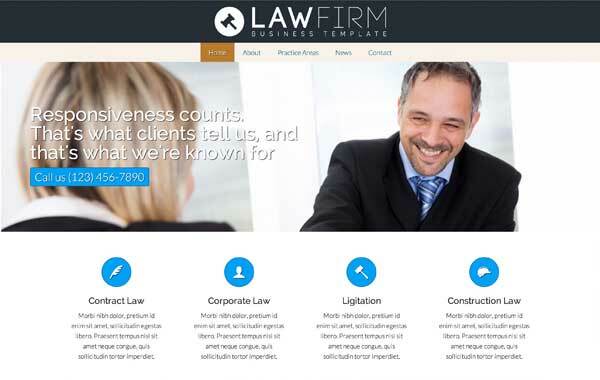 The Lawyer WordPress Theme incorporates a multi-configurable slider letting you highlight the most important areas of your site. The contact page on the Lawyer WordPress Theme includes space for your contact details plus an integrated Google map, route planner and built-in form. 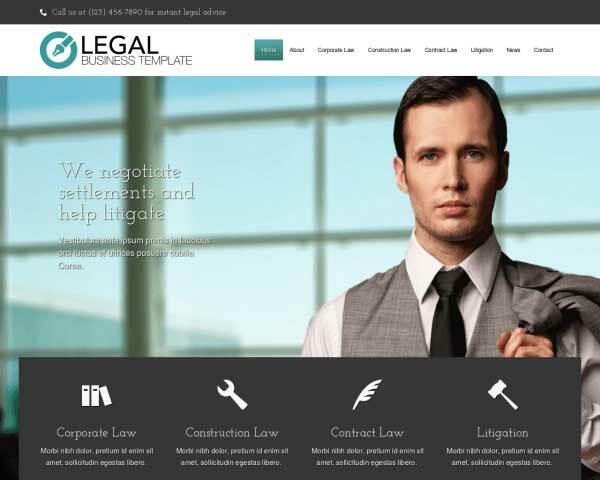 With the Lawyer WordPress Theme you have a quality tool to create elegant and appealing service detail pages with above-average layout and styling. 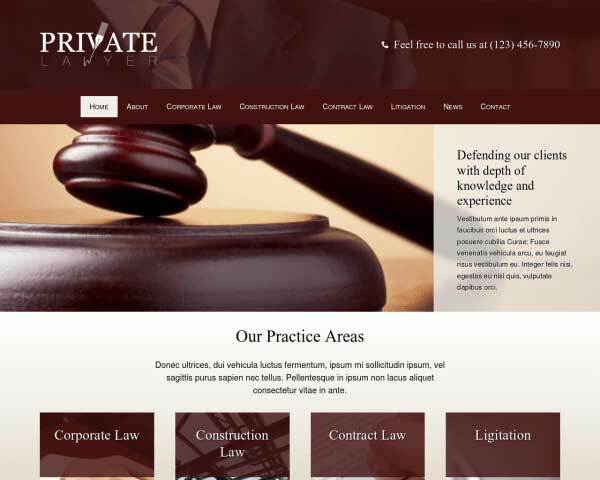 Offer an attractive overview of your services on the homepage of the Lawyer WordPress Theme, along with quick navigation to important pages on your website. Clients will be curious to learn about your team of lawyers before trusting you. 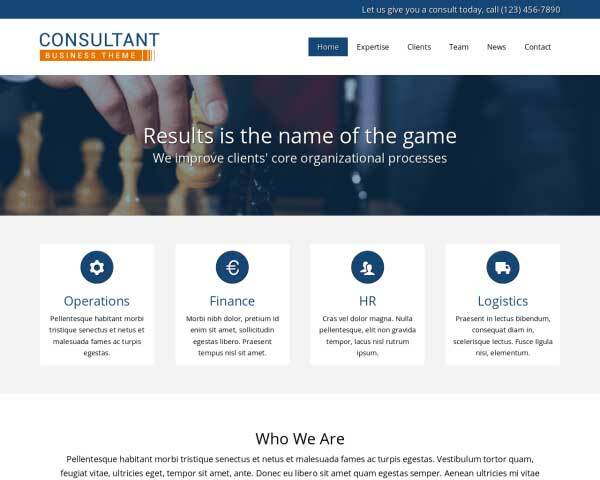 Introduce your staff with a photo and short bio on the about page of the Lawyer WordPress Theme. A separate page is dedicated to the testimonials you've received, which will serve as an excellent marketing tool to garner trust. 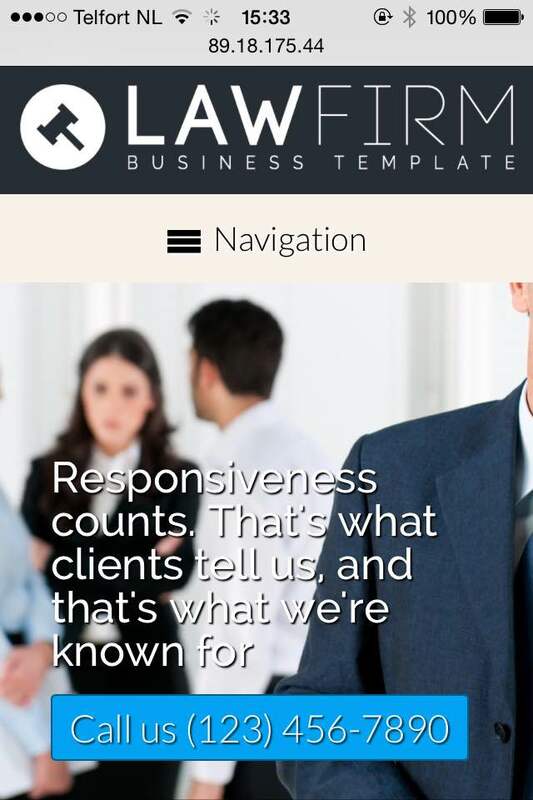 Visitors who view your website on smartphones and tablets will enjoy the same professional look and functionality of the desktop version when you build your website with the responsive Law Firm WordPress theme. Without any extra plugins or coding required, they layout of your content will automatically adjust to display beautifully on every type of handheld device. You can update text and add pages and posts with confidence knowing that your website will make a great impression even on small screens.